Anna Winebrenner had her whole world turned upside down during her sophomore year of high school. She spent 10 months in Australia. 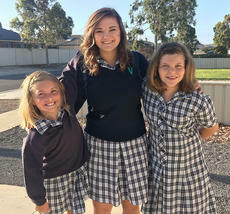 “I went through culture shock really badly … You wouldn’t think so,” she said. But when she arrived, she found the food was different. They drove on the other side of the road, and the town was bigger than she is accustomed to. “When you’re from Lebanon and everybody knows each other, it’s not really like that,” Anna said. 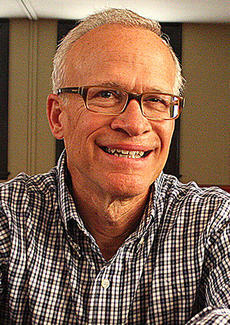 A pair of book signings are planned for the Marion County Public Library before the end of June. Charlie Bickett is back with another round of stories with “Raywickians” volume 2. This is another collection of stories about people from in and around Raywick. Bickett said that $2 from every book sold during his book signing, scheduled for 4-9 p.m. Friday, June 19, at the library, will be donated to the library. The Marion County Fairgrounds will be roaring with activity on Saturday, June 20. The Central Kentucky Showdown and a concert featuring BlackHawk are scheduled for that day. The inaugural Central Kentucky Showdown will feature a variety of big trucks including one Big Azz Custom Truck and a Big Rig Event. Gates will open from 10 a.m. to 4 p.m. for the truck show, and admission is free. In addition to custom trucks and numerous vendors, concessions and activities for the kids will be available. 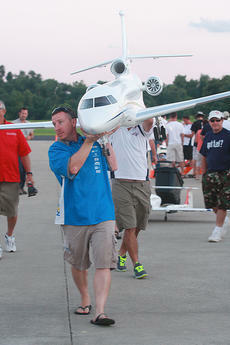 The world’s largest remote control jet show will be back at the Lebanon-Springfield Airport from July 5 to 12. The 11th annual Jets Over Kentucky is expected to bring around 200 r.c. jet pilots to the area. Casual fans and remote control jet enthusiasts alike will recognize many of the planes at this year’s Jets Over Kentucky: F-15s, F-4 Phantoms, B-1 Bomber, A10, F-18 Super Hornet, BAE Hawk, F-100, Stealth Fighter Jet – even an SR-71 spy plane that is more than 13-feet-long and valued at $100,000. 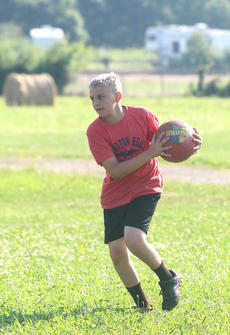 At the Marion County Extension Office, teams of kids participated in a kickball game so big each team got five outs. At West Marion Elementary, Richard Crum laid down on a bed of nails as scores of students watched. Meanwhile students at the 21st Century Learning Center visited the Kentucky Railway Museum, and students at the Marion County Area Technology Center got an early look at what they could learn in high school. 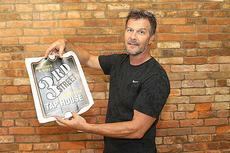 Troy Dennison is brewing up something different for Bardstown. “Bourbon you can get anywhere,” he said. Kentucky’s signature spirit is what the Bourbon City is known for; but if his plans for a tavern and microbrewery succeed, Bardstown may also become a destination for craft beer lovers. Marion County raised nearly $45,000 for the Crusade for Children this year. Lebanon Fire Chief Ricky Mattingly said he was hoping the Lebanon Fire Department would exceed the $30,000 mark, but they were a few thousand short when it was time to turn in their collection. “I was getting ready to get on TV and my wife called and said a local industry donated,” Mattingly told the Lebanon City Council recently. The industry’s anonymous donation helped the Lebanon Fire Department raise $32,438, which is $5,000 more than last year. The federal health law requires that insurers planning to significantly increase premiums for policies on a health-insurance exchange to submit their rates by June 1 for review. Many insurance carriers across the country, including four in Kentucky, are requesting double-digit increases in insurance premiums for 2016. FRANKFORT – Gov. Steve Beshear Monday took another step to build upon the success of the 2015 landmark anti-heroin legislation he signed by announcing the funding of eight programs aimed at fighting and treating heroin use and substance abuse in Kentucky. The $10 million in funding is part of Senate Bill 192, bipartisan legislation passed in this year’s legislative session aimed at curbing the rise in heroin use and opioid addiction.